If you’ve ever read Runner’s World or been to a running shoe store, than chances are you’ve heard about “overpronation” or “high arches”. So the question is, what is “overpronation” or “high arches” what are the effects, and how do we select the proper shoe? Let’s review some basic facts, pronation is a normal movement of the foot and ankle complex. It is characterized by the arch of the foot flattening and lowering toward the ground. This motion of the foot is important for shock absorption and so the foot can conform to uneven surfaces. When an individual’s foot rests in this position, or “overpronates,” it may also be referred to as a “flat foot” or pes planus. The opposite motion of the foot is referred to as supination. This is when the arch of the foot elevates away from the ground. Again, this is an important posture of the foot as it allows the foot to become a rigid lever for an effective push off. If an individual’s foot rests in a highly supinated position it may be referred to as “high arches” or pes cavus. Everybody is with me to this point right? Well this is where I may lose some of you. Traditionally, we have made recommendations for shoe selection based upon these foot types. For the “overpronator” or flat foot we have recommended a motion control shoe, for “high arches” a cushioned shoe, and for a “normal” arch a neutral shoe. Motion control shoes have a lot of technology designed to prevent the arch of the foot from falling. They typical have a higher density midsole and very rigid heel counter. Cushioned shoes are designed with shock absorption in mind. These shoes have additional cushioning in the sole of the shoe to compensate for the lack of shock absorption in the structure of the foot. The evidence is demonstrates that a motion control shoe is not able to prevent pronation in the foot. 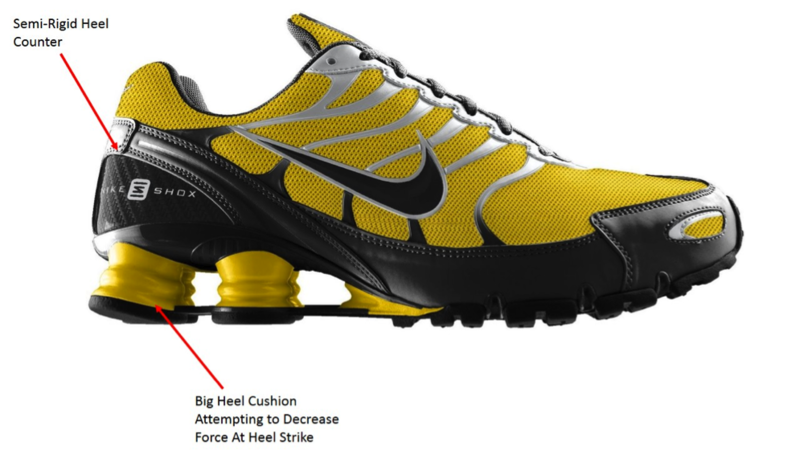 Also, more cushioning on shoes does not decrease the mechanical stress on the body, and may potentially increase it. Cushioning has been shown to increase the forces at the knee, hip, and back while decreasing stress on the foot. The fact of the matter is foot type DOES NOT relate to the shoe you should select. There is no injury prevention benefit to this old model of shoe selection. 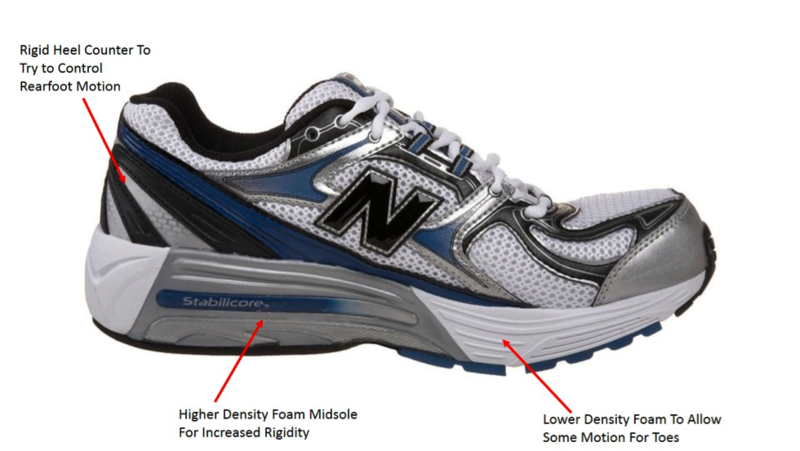 In the largest studies of footware and running, studies have shown that there is no injury prevention benefit to this old model of shoe selection. In fact, one study found that matching for foot type may increase injury risk. So, how do we select shoes? Shoes should be selected based upon comfort. The toe box should be wide enough to accommodate the forefoot, without bunching the toes together. The shoe should be long enough to accommodate an extra 1/2 inch beyond the longest toe. A variety of shoes (including lower drop and less cushioned shoes) should be tried on, and if at all possible run in, to assess comfort. If the decision is made to switch to a new shoe type for you, a careful and progressive transition should be made to prevent injury.